As Bing is getting popular now-a-days and many people have started using this as their default search engine, adding Microsoft Bing search engine to your firefox would be great deal to save your time and make searching faster. 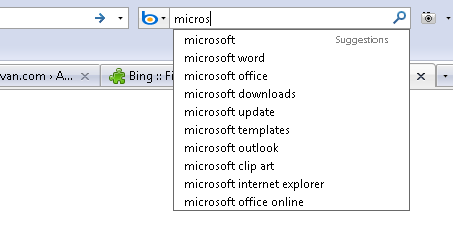 We need to add Bing Search engine extension for Firefox to do this. 1. To start searching on Bing from your Firefox browser itself, you need to install Bing Search plugin for Firefox on your browser. 2. After the installation you will get Bing search engine option activated. 3. Simply select Bing as your default search engine. Now you don’t have to visit Bing’s homepage to make searches, navigate to the Firefox inbuilt search box and search with your queries! @ HapiYou are welcome here !